Ljubljana Resort (hotel & camping) находится в Любляна. кемпинг предлагает местa Выделенные и Площадки с небольшим количеством тени. Предлагаются в аренду Дома на колесах и Комнаты. В кемпинге есть Игровая площадка и Спортивная площадка. Для спортивных туристов кемпинг предлагает Экскурсионные программы. Предлагается Развлекательная программа и Комната для занятий фитнесом. Для тех, кто хочет расслабиться после напряженного дня, предлагаются Водоворот. В кемпинге есть Открытый бассейн и Бассейн для детей, начинающих ходить. Не обязательно всегда самим готовить пищу: В кемпинге есть Столовая и Ресторан (с полным меню) aanwezig. В кемпинге можно купить Свежий хлеб. Можно выходить в Интернет, так как В кемпинге есть один компьютер или более, имеющие выход в интернет, Есть точка WiFi и У Вас будет доступ в интернет через Ваш ноутбук в 80% кемпингов. Этот инспектор посещает каждый год Ljubljana Resort (hotel & camping) и проверяет кемпинг по более 200 элементов инфраструктуры и услуг и другим критериям.Инспектор является сотрудником ACSI и не имеет никаких обязательств перед кемпингом. Doing this from memory because my first submission was not published. I went to use the toilets but changed my mind and returned to the caravan when I saw them. My wife had a cold shower at 9am. This was a CC site but the rate rose from the published price with all the add-ons (including a garbage tax which is new to me). The food in the resurant was quite nice but for 2 main course and 4 medium beers is not really a rate that I expect on a caravan site. Not a lovely site and digger work meant no access to the river path. If this was CC low season rate then I can\'t guess at the peak rate but it will not be good value. Luckily for us it was just a one night stopover and when we return to lovely Ljubljana we will stay elsewhere. Only stayed one night was considering two but price off putting. Dearest spot we’ve stayed in over a two week trip through Austria, Slovenia, Croatia and Czech Republic. Staff actually apologized over price as we fell in to the high season by one day even though the place was quiet. Nice grassy pitches with good shade. Close to city with good connections. Nice cycle distance too. Staff good. Toilet block tired could do with a revamp. Good location for visiting Ljubljana. Toilet facilities need updating and the pitches need to be improved- site needs a bit of investment. Cycling to around and from Ljubljana centre is brilliant and simple. Swimming pool was closed in late June? Doesn’t open until early July which is ridiculous considering it was 30 deg’s in June 2018. Staff very helpful. Nice site which is well placed for visiting Ljubljana. Regular bus service from site entrance and bus tickets can be purchased from reception. Dogs have to be muzzled on public transport, local taxis will take dogs by arrangement which can be done through reception. Staff are very helpful and happy to sort for you. Pitches that are furthest away from the reception area are close to the railway line which is quite noisy first thing in the morning. I stayed for one night whilst visiting Ljubljana. The price is quite expensive but the location is great. The site is very well kept and maintained and staff are friendly and helpful. It feels quite like a resort so if you prefer space, peace and quiet maybe it\'s not for you. But for a few nights stop over it was good, if a little expensive. Probably the worst ACSI site we\'ve been on. The only good thing I can say about it is the proximity and easy access ( bus stop right outside the site) to the beautiful, and we\'ll worth visiting city of Ljubljana. To say that the washing facilities were primative is being generous. There was one washing up facility in a portacabin and 1 shower and toilet in the same place. We could use the facilities in the fitness centre but again there was no privacy. The main toilet block was closed. We were here on 21st October, but the site is open all year. If a site is open there should be adequate facilities. 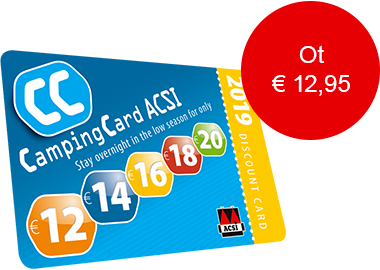 We paid quite a bit more than advertised by ACSI. We will not be returning and would advise against a visit. Good camp for Ljubljana.bus every 5 min. You can get taxi vouchers from receptioneach way good value toilets not the best only 2 male showers open. Suitable for days in Ljubljana. The site itself is nothing special. Facilities are worn and need fixing and cleaning. Staff is helpful. Well organised site but with rather tired facilities. Staff very helpful. Easy access to the city centre - cycling ok on pavement then on cycle lane on pavement but bus probably better, every five minutes or so from the campsites entrance. Ljubljana is a lovely, small capital city without any great sites. The castle is well worth a visit. The site was pretty full at the end of May in bad weather so booking may be advised for the summer. We stayed herefor 8 days on acsi,we found it to be a great handy site to visit the centre, supermarkets near a good cycle lane network. We never used the restaurant but the food always looked good but prices are not cheap.The staff were great,wifi free if you stay 3 days . motorhomes are separated from tents which is good. .....would recommend. Хотите забронировать место в кемпинге Ljubljana Resort (hotel & camping) или Вам нужна дополнительная информация? См. информацию ниже или собственный интернет-сайт кемпинга. ACSI Eurocampings переправляет ваш запрос информации в "Ljubljana Resort (hotel & camping)".